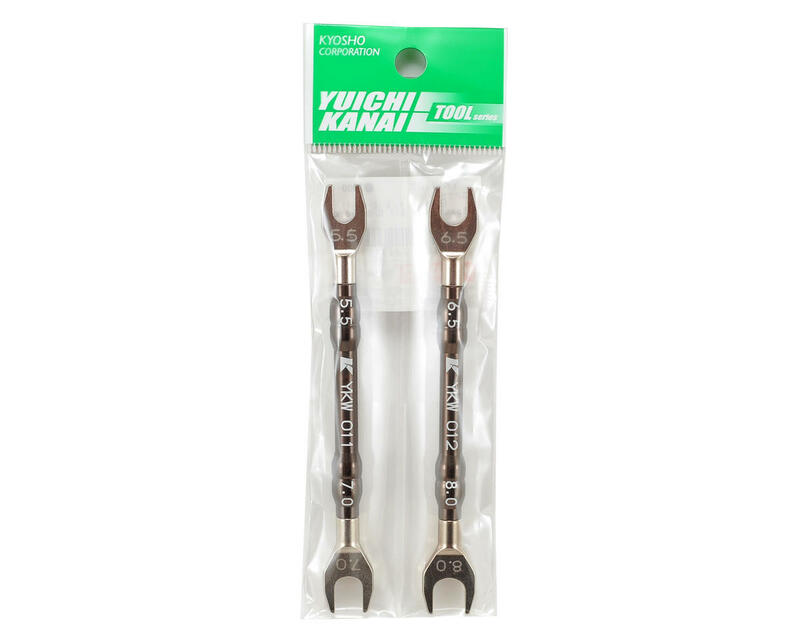 This is the Kyosho Yuichi Kanai Spanner Wrench Set. This combo pack includes both spanner wrenches that were developed by Yuichi Kanai, specifically for use with the Inferno MP9 series vehicles. The 6.5-8mm wrench features a deep 8mm end that allows easy installation/removal of the shock standoffs on the shock towers, while the 6.5mm end is perfect for easy ball end installation on the turnbuckles and rods. 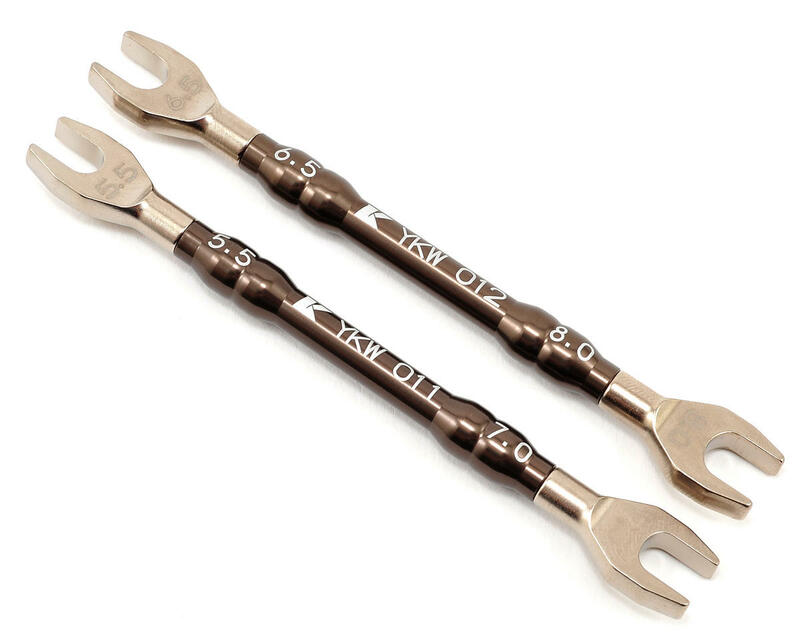 The 5.5-7mm wrench features a 5.5mm end that allows quick adjustment to the MP9's steering servo turnbuckle and steering tie rods, as well as make camber adjustments to the the upper arms. The 7mm end fits the plastic ball ends perfectly, and holds the steering posts and shock bushings as well.